Before discussing the possibility of its usage in households; it would be better for you to know further about the microfiber itself first. Microfiber is an innovative polyester and polyamide blended fabric which the highest quality material composed of very small fibers that are 100 times finer than a person hair. The final result is a unique, soft, sturdy, absorptive, water repellent, and electrodynamical product which also has filtering ability. In simple words, each microfiber cloth is able to lift up and catch dirt together with amazing absorbency and scrubbing capabilities. There are two rules of common household appliance. You can use Microfiber Cleaning Cloths dry for dusting, light cleaning or polishing while wet usage is for deep cleaning. One moist cloth can be used to clean thoroughly almost any thing since the absorbent ability is much increased. Moreover, its softness makes the fabric safe for any surface. It will remove any stain, dirt, and oil on your things and leave them unscratched. The list of what things that can be cleaned and where you could use this fabric involved a wide variety of stuffs and spaces in your home. For example, you can use damp Maxim Mart affordable Microfiber Towels for deep cleaning on many hard-to-clean different surfaces such as windows, kitchen counter tops, stove tops, mirrors, furniture, upholstery, floors, walls, and cars. Dry cloth can be applied for your regularly dusting -without worry of the presence of residual chemical and airborne dust. 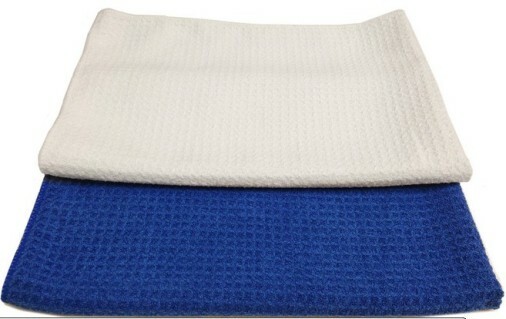 Microfiber cleaning cloths will definitely ease much your household cleaning tasks. With only water and the fabric, you can clean easier the kitchen, the bathroom and other rooms at your home. Smart and frugal homeowners shouldn’t overlook the huge benefits of this microfiber fabric innovation!